What are the Computer or Software Requirements for Getting a Degree Online? Over the past several years, getting a degree online has become more widely accepted than ever before, and more students than ever are turning to long distance learning to earn an education. When earning an online education, students use computers to connect to their classes and complete coursework. For a smooth process overall, there are similar computer/software requirements that all universities instill to ensure that students can easily complete their work without many problems on the technical side of things. These are the general computer and software requirements for getting a degree online. There are requirements that all students need to fill to complete basic coursework in an online degree. 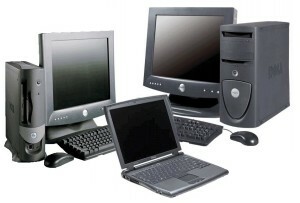 Operating system specifications typically state that students need Windows XP, Windows 7, or MAC OS X 10.6 (or higher). Recommended software includes Microsoft Office 2010 or 2011, Microsoft Internet Explorer/Google Chrome/Mozilla Firefox/Apple Safari, Adobe Flash Player, Adobe Acrobat Reader, a media player, and Java. Basic, minimal hardware requirements include a 2GHz+ processor, at least 1GB of RAM, 100GB HDD, a monitor with at least 1024×768 resolution, a video card that supports at least 1024×768 resolution, high speed internet, sound card and speakers, CD-ROM/DVD drive, basic printer, microphone, and a web camera. Technical degrees require a bit more due to the more demanding pace and content of the work entailed. The software needed for technical degrees will vary among the different fields, but hardware requirements generally remain the same. The preferred hardware requirements for a technical degree include at least a 3.16GHz proccessor, at least 4GB of RAM, a minimum of 250GB HDD, CD-ROM/DVD drive, a video card that is capable of using OpenGL and processing 3D graphics easily, a sound card, speakers, microphone, a monitor that supports at least 1024×768 resolution, a USB 2.0/3.0 capable motherboard, and a web camera. Business and management degrees require a bit less than technical degrees, but the hardware requirements still remain the same. If you’re planning on pursuing a business/management degree, expect to meet minimum requirements such as a 3GHz+ processor, 3GB of RAM, 160GB HDD, a CD-RW/DVD drive, a graphics adapter and display that will support at least 1024×768 resolution, a sound card with speakers, a microphone, and a web cam. Because business degrees entail lots of document-saving, it may be wise to splurge a bit on the hard drive space to prevent filling the disk up and needing to buy more space. Most universities recommend that students get a laptop rather than a desktop computer for all online education coursework. This way, coursework can easily be completed while on the go. There are also a few extra requirements that might depend on the type of degree as well as the coursework. For example, some universities might require that students grab a copy of a certain type of email software so that they can correspond with school staff. Additionally, antivirus software, and particular browser plugins are recommended, if not required. In some types of degrees, especially nursing degrees, handheld devices are required (such as smartphones).